If you have any questions or want to enquire about dates, use our form to contact Sarah Bulwer-Long or see their website for more information. Arrive in a quintessential English village with tea rooms, church and green; from here you swing into the Heydon Hall estate and, hidden down a rough track in the grounds, is your attractive redbrick cottage. On the day we visited swathes of snowdrops nodded their heads in greeting. Inside it’s a comfortable space to stretch out for a week; no WiFi and intermittent phone signal leave you time for books and board games. Owner Sarah (who does B&B in another cottage on the estate) is generous – free logs for the wood-burner, deep John Lewis mattresses, fresh flowers in the practical kitchen. Up steep winding stairs to three restful rooms with a quirky circular layout; enter the light, airy double; through here is the beamed twin; then step down to the bunkroom and from here you arrive in the spick and span bathroom (no shower) which takes you back to the double! It’s all rather charming and fun. Through your tiny walled garden there’s parkland and woodland to explore, bikes to hire, NT houses and the coast. Walk to the village pub for supper then back for a nightcap in front of the fire in the lovely living room. Bookings Friday to Friday only. Just returned from this beautiful cottage in the woods and feel as though l've left a piece of my heart there. Was the perfect place for our family to spend some quality time and couldn't have faulted it. One of the best places we've stayed in. Will definitely be returning soon. An idyllic cottage! A fairy tale, Handsel and Gretel cottage set in its own little clearing in the forest. Total privacy; sunlight filtering over and through the trees, daffodils fading and being replaced by spring blossom; a cosy wood burner. We ate breakfast and enjoyed aperitifs in the little low walled front garden, and enjoyed the sunlit view of the trees from the bath each morning. 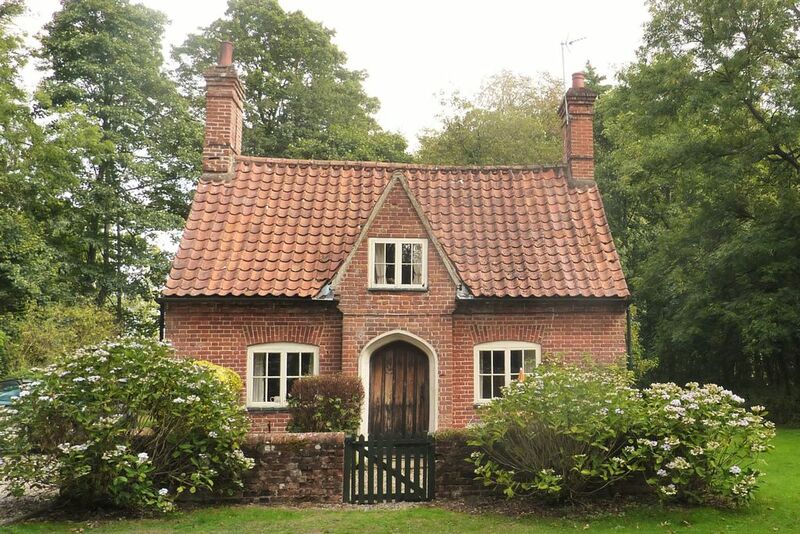 Perfect for a romantic weekend, a family holiday or cycling base to explore Norfolk. Set in the beautiful Heydon Hall estate with idyllic village and unspoiled pub. Wonderful! Laundry cottage is the most peaceful relaxing place to stay. We have been several times, and it never ceases to amaze how special this little time capsule is. The most annoying thing about the place is its so flipping popular, we can't always get booked!!!! Love the place, and Sarah bulwar long is an absolute darling, a wonderful lady. Looking forward to our next visit. Laundry Cottage is conveniently located for day trips to inland and coastal attractions including the North Norfolk coast, with its big skies and sandy beaches, and the wetlands and waterways of the Norfolk Broads National Park. The city of Norwich and inland market towns of Reepham, Aylsham, and Holt are also within a short drive. Nearby stately homes and gardens include Blickling Hall, Mannington Gardens, Felbrigg Hall, and East Runton Old Vicarage Gardens. Pensthorpe Natural Park, Cley Marshes, Blakeney Point, and Foxley Wood offer great days out for wildlife and bird watching enthusiasts and BeWILDerwood and Dinosaur Adventure Park offer fun activities for all the family. Nearby walking and cycling trails include the Marriott’s Way, Bure Valley Path, and Weaver’s Way and the Bure Valley Railway, Whitwell & Reepham Railway, and North Norfolk Railway offer steam train rides through the Norfolk countryside.